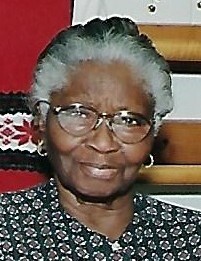 Ms. Bertha M. Lundy, age 93. of Raleigh, departed this life on Sunday, April 14, 2019 at Universal Healthcare, Raleigh. Survivors; daughters, Eleanor Lundy-Wade of Philadelphia, PA, Catherine Jeanette Hinton (John) also of Philadelphia, PA, Ernestine Kan (Edward) of Columbus, NC, Phyllis Hinnant (William) of Wilson Mills and Mary Lundy of Raleigh; sons, James D. Lundy (Janice) of Raleigh, Harold Jacob Lundy of Zebulon and Charles Leake of Durham; 12 grandchildren, 5 great grandchildren and a host of other relatives and friends. In lieu of flowers, the family requests contributions be given in Ms. Lundy's honor to Meals on Wheels of Wake County 1001 Blair Drive Suite 100, Raleigh, NC 27603.